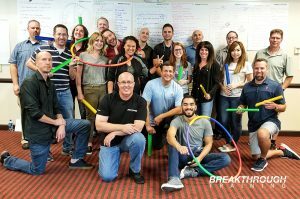 PK Electrical Realignment Day | Breathrough Training | PK Electrical, Inc.
PK Electrical takes pride in the culture it has created amongst its employees. It has a fun and engaging work environment that promotes teamwork and increases productivity. Our core values reflect into our daily, personal and work lives – trust and integrity, success, professional reputation, fun, learning and skills, passion for excellence, teamwork, accountability, and ownership. In order to maintain consistency with a growing number of employees and two separate offices, PK Electrical engages in a company alignment at the beginning of the year and a realignment halfway through the same year. 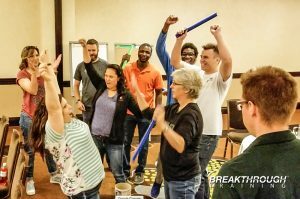 These events are designed to promote team building and assist employees in gaining a greater understanding of their peers. In the past, both offices would come together for realignment, but this year we took a different approach. All managers in Denver came to Reno and vice versa. The idea behind this was to have the managers relay pertinent information in each office to their employees; this minimized lost production days and the valuable information from both offices was still being passed on. At these events, Jeffrey Benjamin, founder of Breakthrough Training, has various activities prepared for the group. These activities promoted team building, clear communication styles and assisted in creating stronger bonds amongst all employees. While participating in the activities, it was apparent that there are a plethora of different personality types within the offices; these personalities are on a spectrum from quiet to gregarious. The activities that Jeff prepared allowed everyone to understand how their peers respond to differing communication styles. They also allowed us to understand how other people are thinking and helped us realize that not all communication styles work for everyone. Throughout the training, Jeff would gather everyone to facilitate a discussion about the various activities that they had participated in. At that time, PK Electrical employees would discuss what they learned, what they had benefited from during the activity, what they took away, how they will use what they learned in the future as well as any other comments they wanted to make. These discussions were critical in understanding what each activity was intended to teach us and to add to various perspectives on each activity. This realignment was extremely beneficial for the company and it couldn’t have come at a better time. Since March, PK Electrical has added eight new employees: two drafters, five new electrical designers, and one new marketing coordinator. With substantial growth in both offices, it can be difficult for employees to get to know their peers in a work setting, especially when everyone is busy with various projects and tasks. 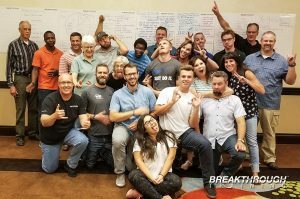 This realignment allowed all of the new employees to branch out and get to know their coworkers on a much deeper level. These newly formed bonds have been brought into the workplace and are strengthening the work environment in positive ways. For more information about our Reno and Denver electrical engineering offices, contact us today. If you would like to learn more about Breakthrough Training, check out Jeff’s website, the link is below. 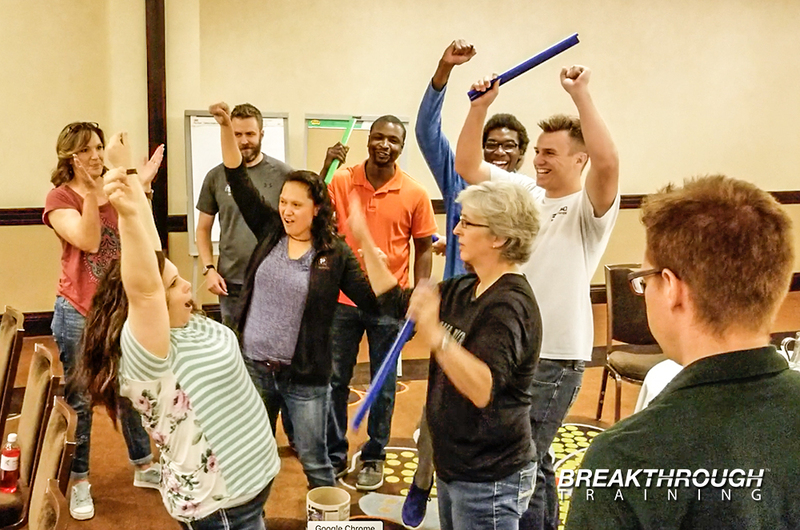 Breakthrough Training always has a super time working with PK Electrical during the team building and communication training programs at the team alignment retreats. PK Electrical is an awesome company with lots of great people! PK Electrical is already a dynamic and amazing team. I can only imagine what happens when they participate in Breakthrough Training. I’m excited to see them continue to grow even more.